Named after the original field. “Brae” is self explanatory but “haining” is the term used to describe the enclosing of a piece of ground with a hedge, fence or wall to preserve it. (e.g. as applied to grass, to preserve it from being cut or pastured). A good drive down the right side of the fairway can set up a good birdie chance on this closing par 5. Long hitters will be able to go for the green in two. Take care with second and third shots as the slope on the fairway will make the stance very difficult. 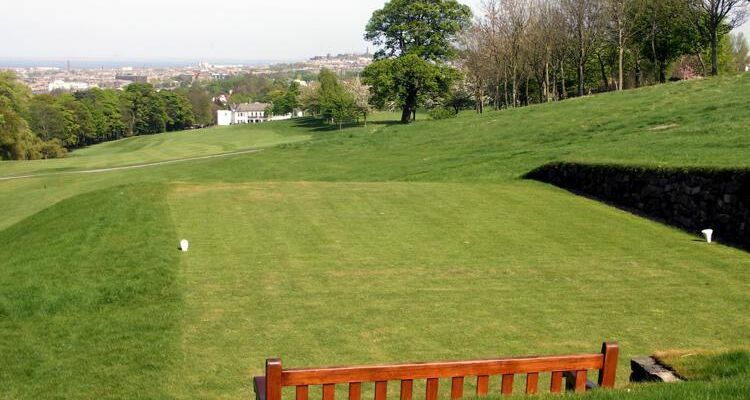 Favour the right side of the green with approach due to slope.